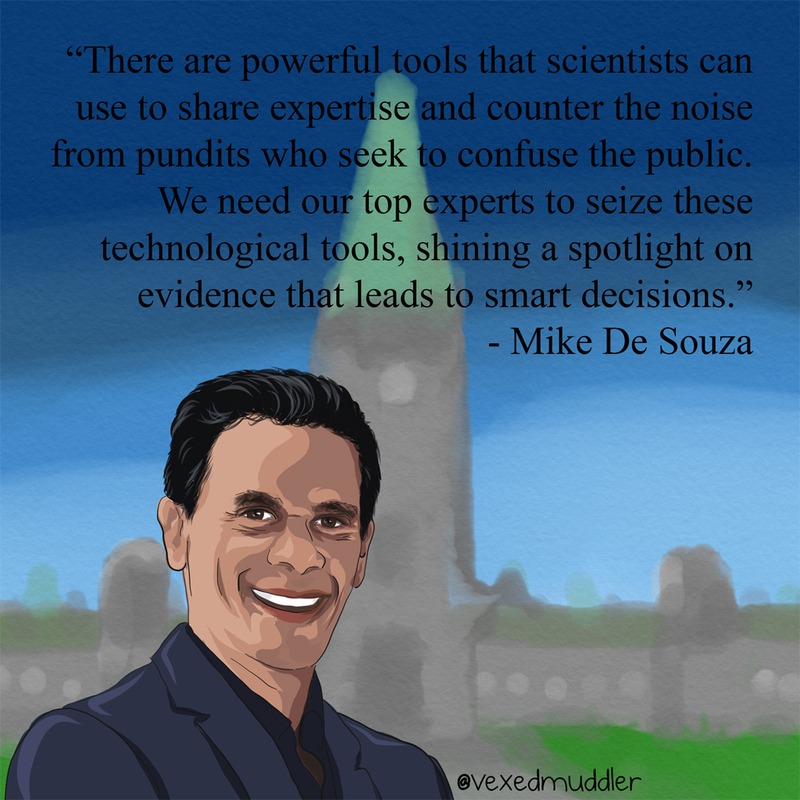 “There are powerful tools that scientists can use to share expertise and counter the noise from pundits who seek to confuse the public. We need our top experts to seize these technological tools, shining a spotlight on evidence that leads to smart decisions.” – Mike De Souza, investigative reporter and managing editor for the National Observer. Originally posted on October 4, 2016.